The craft cider industry is growing much faster than the craft beer industry as Americans get a taste for (gluten-free) hard cider. Preferred cider apple varieties have more tannins and malic acid than dessert or eating apples. With the increased demand for cider production, the desire to use specific apple varieties for high-quality cider is on the rise. As a result, development of best management practices for irrigation, nutrition, and pest management are essential. 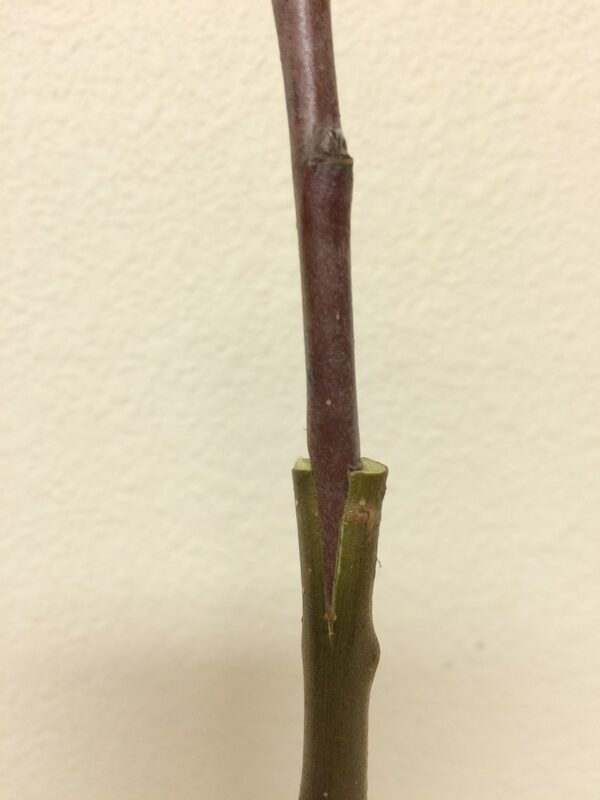 Why is it important to monitor apple tree grafting? An apple tree is often grafted onto a rootstock, which will give the tree certain attributes, such as resistance to soil born diseases, or make the size of the tree more manageable for pruning or maintenance. Before recommending varieties for large-scale planting, it is essential to test the compatibility of scionwood (the top portion of the tree) and rootstocks to determine for yield and adequate water and nutrient uptake. In addition to measuring growth, we will assess yield, vigor, disease resistance (e.g. fire blight), and the possibility of mechanized harvest. As trees mature, we will compare growing and pruning techniques between freestanding trees and those trained on trellises. 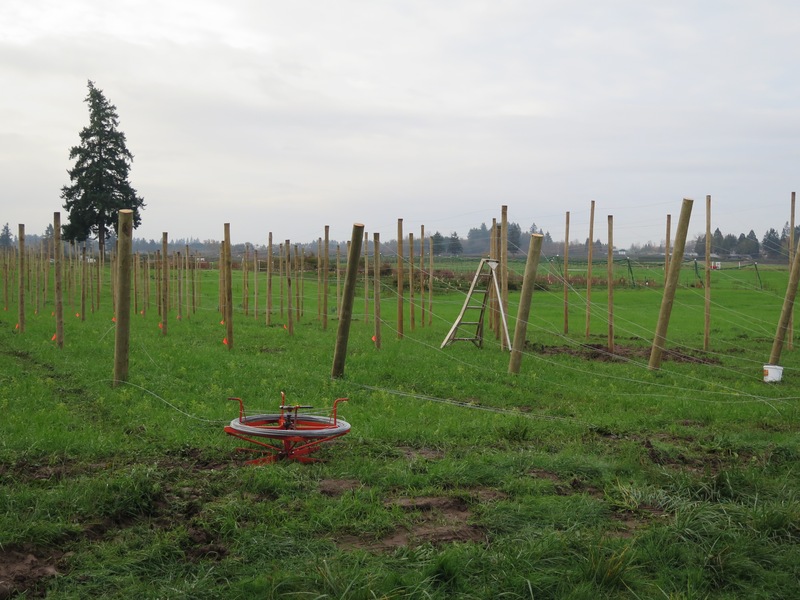 This project will evaluate the performance of more than 40 cider apple varieties—many grafted last spring and being held for planting in fall and winter 2017. 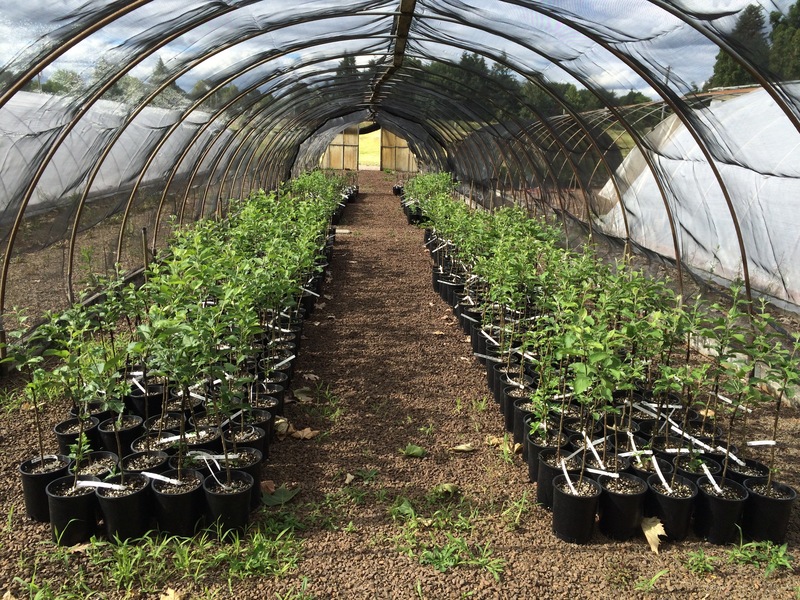 We currently have over 30 different varieties of cider trees grafted onto dwarfing and semi-dwarfing rootstocks and will eventually add more popular cider tree varieties and rootstocks. 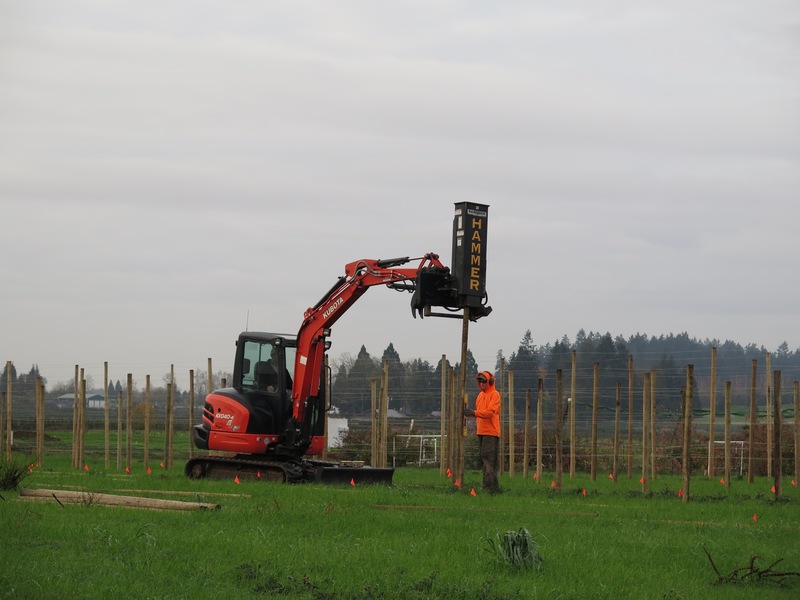 The rootstocks for this project were graciously donated by Willamette Nurseries in Canby, OR, and scionwood was obtained from the OSU Lewis Brown Farm in Corvallis, OR.